A licensed California acupuncturist in Los Angeles with advanced degrees from China, Dr. Ma is one of the most highly educated professionals in the field of Chinese Medicine (CM), both in China and in the United States. She graduated first in her class from the prestigious Beijing University of Chinese Medicine and completed twelve years of education in integrated Chinese medicine and Western medicine. As part of her education, Dr. Ma studied directly under two distinguished CM Masters in China: Dr. Jia-San Yang and Dr. Zi-Fu Chen, both of whom accept into their tutelage only one or two of the brightest and most dedicated students each year. Before coming to Los Angeles, Dr. Ma was a professor, physician, and researcher at the Beijing University of CM. She received an invitation in 1995 to become a professor and clinic supervisor at Emperor’s College of Traditional Oriental Medicine in Santa Monica, California. She also taught at Samra University of Oriental Medicine in Los Angeles, California along with teaching medical students and residents at UCLA. She has conducted many clinical research trials to test the efficacy of acupuncture and herbs both in China and USA. The research projects she has been involved with include, but are not limited to: coronary artery disease, stroke, asthma, diabetes, infertility, menopause, uterine fibroids, common colds and ICU patients. In addition, Dr. Ma has published over a dozen professional articles and books on various subjects, including acupuncture, herbology, and CM nutrition. Dr. Ma also maintains a private practice and complete herbal pharmacy (including raw herbs, herbal pills, tinctures, powders), where she treats patients with acupuncture and/or herbs for a wide range of medical conditions, as they pertain to each individual. Her office is one block north of Olympic at the corner of Chalmers Drive. Dr. Ma is authorized to treat patients at Cedars-Sinai Medical Center. Dr. Ma will be discussing the basic concepts of Chinese Medicine and an introductory overview of Chinese Herbal medicine. She will focus on how to apply Chinese herbal medicine into patient care, as well as the cautionary usage of these herbs. Dr. Ma will also address how the food you eat can be used to heal. Recipes will be also given of common foods and spices that can be used for general ailments. 2008 – Present President, Acupuncture & Chinese Medicine Academy, Inc.
Kirschner J, Clarke A, Williams J, Paul-Labrador M, Polk DM, Ma X, Qiao Y, Brantman A, Painovich J, Minissian M, Shufelt C, Mou Y, Bairey Merz CN. Successful recruitment and retention strategies for the study, “The Effects of Traditional Acupuncture on Coronary Heart Disease.” Alternative Therapies in Health and Medicine. 2009, 15( 3), S166. Description: The goal of this project is to evaluate the effect of Traditional Acupuncture on arterial vasomotor function and autonomic nervous system tone, two physiologic variables involved in the pathophysiological cascade underlying acute cardiac events and sudden death in CHD patients. Description: The goal of this project is to determine the feasibility, acceptability, and safety of providing daily traditional acupuncture to patients in a critical care unit. Description: Thesis study conducted a randomized controlled clinical trial to determine the efficacy of acupuncture in the treatment of stroke. Title: Pilot Study on Acupuncture for Post Operative Bypass Patients. Description: This pilot study investigated the efficacy of Acupuncture in relieving post-operative symptoms experienced by bypass surgery patients. Title: The Clinical Applications of the Eight Confluent Points of the Eight Extra Meridians- The Clinical Research of Treating Apoplexy by Acupuncture. Description: This study conducted a randomized controlled clinical trial to evaluate the effectiveness of Acupuncture in the treatment of stroke. Title: Efficacy of herbs and Acupuncture in the Treatment of Diabetes Mellitus. Description: This collaborative clinical research project conducted a randomized controlled clinical trial comparing outcomes for Western medical protocols when combined with Acupuncture and Herbs. Title: Preliminary exploration on the regular channel’s Jing-Well Point’s electrical resistance changes in patients suffering from asthma and common cold. Dr. Xiuling Ma attended the Beijing University of Traditional Chinese Medicine for a total of twelve years, from 1982 to 1994. Upon completion of the Bachelor of Medicine program (which was then a six-year full-time program). She graduated with the highest G.P.A. among her 120 classmates. In China, the Bachelor of Medicine degree is all one legally needs in order to practice either Traditional Chinese medicine or Western Medicine. It equals Doctor of Medicine degree. Most physicians in China do not go on to get advanced degrees. Although Dr. Ma could have begun practicing medicine upon graduation, she chose instead to enter the three-year Master’s program so that she could study under a special Master so that she could increase her knowledge and expand her techniques even further. Since the difficult entrance examination for the Master’s program had a very low passing rate when Dr. Ma took it, her entrance into the Master’s program was an accomplishment in itself. Dr. Ma began the Master’s program and her relationship with her first Master, Dr. Zifu Chen, a professor with special expertise in both her biology and acupuncture. Although each Master typically has up to two students per year, Dr. Ma was Dr. Chen’s only student for the entire three years of her Master’s program, thus allowing her the opportunity to absorb his special expertise on a one-to-one basis. By the time Dr. Ma had graduated from the Master’s program in 1991, she had also developed a master-student association with yet a second Master, Dr. Jia-san Yang. Dr. Yang is one of the two most highly respected TCM physicians in China today. He is acknowledged in China as an international expert on acupuncture and moxibustion, but he is also an expert in herbology. He was so impressed with Dr. Ma that he encouraged her to enter the three-year Doctoral program under his special tutelage, and so she took and passed yet another rigorous entrance exam. At that time, in 1991, there were only a few TCM Masters in the entire country who were authorized to grant Doctoral degrees for acupuncture, and Dr. Yang was one of them. Understandably, Dr. Ma enthusiastically entered the Doctoral program as his student in order to gain the unique expertise, experience and recognition that such an once-in-a-lifetime relationship offered. During her Doctoral studies (and to a lesser extent during her Master’s studies), Dr. Ma also worked as an independent physician at the Beijing University of TCM Teaching Hospital and Clinic. In addition, she taught many students, not only TCM students who were working on their Bachelor of Medicine degrees, but also physicians from less prestigious hospitals who came to the Beijing University of TCM from all over China for advanced training. 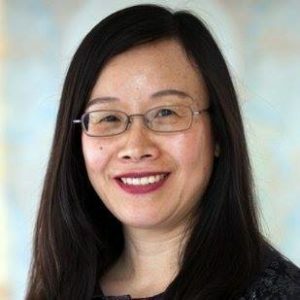 Following her graduation from the Doctoral program in 1994, Dr. Ma began full-time work in the Acupuncture Department at the Beijing University of TCM, as a professor and physician. In the meantime, word of Dr. Ma’ s professional expertise as a professor and physician of the highest caliber, and as a woman of great compassion, integrity and down-to-earth common sense, had spread from Dr. Ma’s Master, Dr. Jia-san Yang in Beijing, to his son, Dr.Tiande Yang (a supervisor at Emperor’s College ) in Santa Monica. As a result, in 1995, Dr. Ma accepted an invitation to join the ranks of Emperor’s College as a professor and supervisor. She has been at Emperor’s College since that time. In addition, Dr. Ma currently has her own private practice in Beverly Hills, California where she treats patients with TCM acupuncture and/or herbology, according to their individual needs. Question: Dr. Ma, before getting into the specifics of TCM education in China, could you please clarify for us the basic differences in China between TCM and Western medical education? Dr. Ma: Yes. China has separate TCM and Western medical universities. The western medical universities have some TCM courses, but not a lot. The TCM universities have a lot of Western medical courses, plus many specialty internships. However, whether you graduate from a TCM university or from a Western medical university, you still get a Bachelor of Medicine degree, and you can practice either TCM, or Western medicine, or both. Normally, a TCM university graduate would practice an integrated form of both TCM and Western medicine. Question: How is a person with a TCM Bachelor of Medicine really equipped to practice Western medicine in China? Dr. Ma: It’s because of the integrated training at TCM universities. For example, a TCM student in China not only takes a lot of courses in Western medicine, but also spends several months in each of several integrated TCM and Western specialties; pediatrics, gynecology, surgery . . . Question: Surgery? Did you ever operate on anyone? Dr. Ma: Yes, under supervision. I did a surgical internship and performed some relatively minor surgeries with my supervisor, such as an appendectomy, a prostatectomy and some others. Question: Did you have a “major” while you studied for your Bachelor of Medicine? Dr. Ma: Yes. TCM universities typically have three main divisions. The TCM Department emphasizes clinical practice, mainly with the use of herbs. The Herb Pharmacology Department emphasizes herbal research, especially for those wanting to become pharmacists. The Acupuncture Department emphasizes acupuncture, moxibustion and tui-na (Chinese style massage techniques). For my Bachelor of Medicine degree, I was in the TCM Department. For my Master’s and Doctoral degrees, I was in the Acupuncture Department. That’s why I have interest and experience in both herbs and acupuncture. Question: Before we get into more details about the Master’s and Doctoral programs, can you tell us what impact the government control of Chinese universities has on TCM education in China, and how that makes it different from TCM education in the U.S.? Dr. Ma: Since the Chinese government controls all the universities, Chinese students are given government grants, so they don’t work. They only study. And, all classes are during the day. There are no evening classes like there are in the U.S. Here in the U.S., most students work at least part-time while studying. There is more flexibility here, and students who don’t work can finish the entire program in less time–or they can take longer if necessary. That wouldn’t be possible in China. In China, the courses are offered in a certain order, and that’s when you take them. You go through the entire program with your classmates, and you all graduate together with the Bachelor of Medicine degree. In fact, you all live at the University and so do most of the professors. Question: You all live there together at the University? Dr. Ma: Yes! Students get free rooms at the University, plus a living allowance from the government and teachers get low cost apartments. That’s the way it was when I was there. Some students got smaller allowances if their families had more substantial financial resources. There have been some changes in the last few years, and I believe some students may now pay something toward tuition or living expenses at some universities. Question: What’s required to complete the Master’s degree? Dr. Ma: After passing a difficult entrance exam, you then have classes, research assignments, teaching requirements and clinical training. I was privileged to study with Dr. Zifu Chen as his only student during the entire three years of my Master’s program. Dr. Chen has special expertise in acupuncture and herbology. By the end of the three years, I had finished my classes, and I had presented my research conclusions and my thesis. Question: So, you had a Master all to yourself throughout your Master’s studies! Dr. Ma: Yes, that was Dr. Chen, but actually, I was very lucky and for the last two years of my Master’s studies, I had two Masters. Dr. Chen was my only Master during my first year, but he referred me to another Master, Dr. Jia-san Yang, and I was fortunate to be able to study with both of them during the second and third years of my Master’s program. It was an incredible experience, and I had learned a great deal from both Masters by the time I got my Master’s degree in 1991. Actually, Dr. Jia-san Yang is the reason I entered the Doctoral program. It was a special honor and privilege to study with such a famous physician, so I took and passed another difficult entrance exam just to continue studying with him for the three-year Doctoral program. Dr. Yang is one of the two most highly respected TCM physicians in China today. ÊI believe that I learned much more from my two Masters than I could ever have learned in private practice, or from less experienced physicians. Question: What are the advantages of having Masters such as Dr. Yang and Dr. Chen? Dr. Ma: There are several advantages, and all of them are very important. With a Master, you learn the Master’s unique techniques and herbal formulas, some of which have been handed down in families or close relationships for generations. These techniques and formulas are often closely guarded, or at least they are not well-known. Another advantage is that a Master has had extensive experience over the years in treating a broad range of conditions, so he can quickly and effectively diagnose and treat even very complicated conditions. Without this special association with a Master, who is like your own personal advisor with great expertise, physicians learn while they practice, often by trial and error. Also, getting a higher degree and working with a Master is quite impressive in China, since Masters have high positions and are very highly respected, so it means you’ll have better opportunities in the future from the government, not only in terms of position, but also in terms of research grants. I should also point out that there’s a lot about acupuncture that you can’t learn from books because you simply cannot describe techniques in words. Techniques are art, not literature. I feel that the best way to learn an art is to observe a Master while he’s performing his art, and let him observe you as he advises you and teaches his skills to you. Question: What about the advantages to being a TCM physician in China? Dr. Ma: An important advantage in China is the integration of TCM and Western Medicine in the hospital, so a TCM physician is involved in a very holistic approach that combines the best of both disciplines. Also, we have a team approach there, including physicians like my Masters. Less experienced physicians can learn from them. You don’t have TCM hospitals and that kind of teamwork here. Since TCM physicians in the U.S. generally have their own practices, they tend to be more competitive, because each one naturally wants to keep his or her own patients. Question: How does the internship program between Emperor’s College and Daniel Freeman Hospital compare with practicing TCM at a TCM hospital in China? Dr. Ma: It’s very different. In China, TCM physicians know both TCM and Western Medicine, so we can treat the patients with both. But in the U.S., the M.D.’s don’t know TCM, and the TCM physicians don’t know very much Western medicine. It’s not integrated here. Question: Do you have any suggestions for improving the TCM curriculum here in the U.S.? Dr. Ma: I think it would be good to provide more specialty courses, including internal medicine, gynecology, pediatrics, orthopedics, ophthalmology, dermatology and the other specialties I mentioned before. Also, the Chinese classics are so important that I think they deserve much more study. It’s also extremely important, even critical for the future of TCM in the U.S., to establish Doctoral programs here as soon as possible. Dr. Ma: I feel strongly that the TCM Doctoral program will elevate the practice of TCM faster and more effectively than anything else. In the U.S., we are at the beginning of a new era in the way medicine is practiced. It’s going to be a much more integrated system between Eastern and Western disciplines. That’s what patients are demanding. There’s no doubt that TCM will play a major role in this new integrated medicine, and no doubt that TCM Doctoral programs will accelerate the process. I feel so strongly about this that I would very much like to be involved in establishing and implementing TCM Doctoral programs here. Question: Do you think U.S. students of TCM should also study for awhile at a TCM University in China, either as part of the Master’s program now, or toward a Doctoral degree in the future? Dr. Ma: Yes. Actually, one of my future goals is to help facilitate those programs. A lot of international students are naturally attracted to TCM study in China, and they can receive credit for study at TCM universities there. Question: What about the language difference? Do U.S. students have to learn some Chinese first? Dr. Ma: It would naturally be helpful, but English is spoken there. There are even classes in English for foreign students, and a student can pay for a translator to follow him or her in the clinic and hospital, and to help translate in other ways that the student might need. There’s actually a special department with translators at the Beijing University. Question: Would you recommend that U.S. students study only at the Beijing University of TCM? Dr. Ma: No, not only there. Each TCM hospital in China has different specialties, a different atmosphere and a different group of professors. Each U.S. student should be matched with the TCM university and professors best suited to the student’s needs and goals. If I were involved in that matching process, I would draw on my friendships with my former classmates and colleagues who are now spread all over China at the different TCM universities and hospitals. Question: Is there anything else on your professional “wish-list” for the future? Dr. Ma: Yes. I’d also very much like to be affiliated with a hospital so that I could do more for patients who develop serious illnesses that require hospitalization. I already have the necessary training and experience, since I spent so many years studying and practicing medicine in a hospital setting where an integrated form of TCM and Western medicine was emphasized. Question: In addition to teaching TCM at Emperor’s College, what else are you doing professionally at this time? Dr. Ma: I have a private practice in Beverly Hills which I enjoy very much. Question: As a practicing TCM physician, do you have any special treatment protocols or techniques that you tend to favor? Also, do you tend to favor herbs over acupuncture, or vice versa? Dr. Ma: I prefer combinations of herbs and acupuncture most of the time, although sometimes I use more of one than the other. My goal is to tailor the treatment to whatever the patient needs, and to do my very best for each patient. I apply the knowledge and techniques that I’ve learned throughout all my years of academic training and professional practice, including the special techniques passed on to me by my two Masters in China. Also, I read a great deal, and I attend professional seminars whenever possible so I can keep current with new developments, not only in TCM, but also in Western medicine to the extent applicable. I feel that one of the advantages of my broad experience and my openness to new modalities is that I have accumulated an extremely wide variety of treatment options to choose from in order to give each patient the maximum individualized benefit. I believe this kind of broad diversity is especially important in TCM, since the very essence of TCM is being able to design, with sound medical knowledge, along with compassion, creativity and flexibility, uniquely individualized treatments for each and every patient. Question: On the subject of herbs, can you tell us a bit about which herbs are most commonly used in Chinese homes, and particularly, in your own home, not only when you were a child in China, but also in your home now as an adult? Dr. Ma: Some of the most common herbs used in Chinese homes include Cong Bai (scallions), Hua Jiao (Szechuan pepper), Hu Jiao (black pepper), Sheng Jiang (fresh ginger), Da Zao (Chinese red dates), Lian Zi (lotus seeds), Rou Gui(cinnamon), Ding Xiang (cloves), Xiao Hui Xiang (fennel), Chi Xiao Dou (aduki beans), Hei Zhi Ma (black sesame seeds), Dan Dou Chi (soybeans), Bai He (lily bulbs), Bai Guo (ginkgo biloba), and Yi Yi Ren (barley). These herbs are used in home cooking for taste, and they are also used as remedies for various conditions. For example, when I was a child, if I was coming down with a cold, and also to prevent colds, I would drink an extra large cup of hot water with 5-6 slices of fresh ginger and about a teaspoon of brown sugar in it. This is a typical Chinese home remedy for early “Wind-Cold” symptoms. It’s also used for teenage girls to help alleviate menstrual cramps. Question: As an adult, are there certain herbs that you now use frequently in your own home? Dr. Ma: Yes. For example, I use scallions (Cong Bai) and fresh ginger (Sheng Jiang) almost daily. Another example is one of my favorite dishes, a rice and aduki bean (Chi Xiao Dou) soup. Question: Will you share the recipe with us? Dr. Ma: Sure. The ingredients are 100g rice, 20g aduki beans (Chi Xiao Dou), 15 Chinese red dates (Da Zao), and 10 lotus seeds (Lian Zi). Put all the ingredients in a pot and add the appropriate amount of water for the rice and beans. Bring it to a boil, then turn down the heat, cover partially with a lid, and simmer for about 40 minutes to an hour. Question: Thanks! Sounds delicious and easy! Speaking of ease, we’re a busy and sometimes lazy culture, and when we need a specific herbal remedy, most of us don’t want to take the time to cook the raw herbs. Is this the same in China, and if so, what alternatives are used there? Dr. Ma: In China, most younger people in the cities are very busy and don’t have time to prepare the decoctions. As a result, there has been a lot of research lately in China to find the easiest, fastest and most effective ways of administering herbal remedies. The various methods include IVs, injections, sublinguals, inhalers, topicals (creams, liquids, plasters), tinctures, pills, powders and decoctions (teas made from the raw herbs). Naturally, IVs and injections have the fastest results, but these are used only in more severe cases. In general, decoctions are stronger and more effective than powders, but powders are much easier and faster to use. Question: Well, since we all want the best of both worlds, is it possible to get herbal remedies that are strong and effective, but also easy to use? Dr. Ma: I think it is. As a result of the recent research, many very fine Chinese herb companies have improved the strength and quality of the powders that they make. For example, I’m dealing with a company now that puts very high quality powdered herbs into separate hygienically sealed packets to maintain freshness and effectiveness. This enables me to design a formula containing several herbs for each patient, and to change the formula as often as necessary. It’s very important to be able to change the prescription as the patient’s condition improves. The patient takes individual packets home and simply mixes the powders together (according to my written instructions) in a cup with warm water, and drinks it. It’s easy and it’s effective. Question: In your own practice, do you use these packets exclusively when you prescribe herbs? Dr. Ma: No, not at all. Patients have different desires and different requirements. In my office, my herb room actually contains a large selection of raw herbs, as well as a wide range of herbal medications as powders, pills, sublinguals, topicals, tinctures, etc. I like to have a lot of flexibility in treating a wide variety of medical conditions. I also like to give my patients more choices in using the different herb forms. Question: Chinese herbs have been getting a lot of attention lately in our newspapers and popular magazines, but what actual scientific proof is there that they are both effective and safe? Dr. Ma: Most Americans probably don’t realize that there has already been an enormous amount of scientific research and analysis of herbs in China, as well as elsewhere throughout the world. First, we have centuries of recorded history as to the usage of herbs in China, and many herbs are still so commonly used by Chinese families today, based on information handed down through the generations, that their efficacy isn’t questioned, because it is so well known. During this past century, however, China has become more “scientifically” oriented, and there has been significant scientific research as to every aspect of all Chinese herbs. There are numerous Chinese books and other publications detailing this research and describing the herbs in great detail. I have several such books myself. As just one example, I have a Dictionary of Chinese Herbs (published by the Shanghai Scientific Technical Publishers) which describes each and every Chinese herb in great detail, along with results of extensive scientific research including lab tests, animal studies, clinical research, hospital usage and various other research protocols. This dictionary also includes indications, contraindications, the chemical composition of each herb, and so on. It’s somewhat similar to the popular PDR (Physician’s Desk Reference) that Western physicians use for Western drugs. Question: Is this Dictionary of Chinese Herbs available in English? Dr. Ma: Not yet, as far as I know. For research on Chinese herbs in English, however, you can go to any biomedical library, such as the ones at UCLA or USC, and you’ll find a great deal of western scientific studies on Chinese herbs in medical journals and books. Students of TCM learn how to access these studies in a special course on Oriental medicine research. When you read about Chinese herbs in the newspaper or magazines, it’s very often a brief summary of a research study that was reported in one of these books or journals. I think you’ll see more and more of these Western studies in the future, because patients are asking their Western physicians about Chinese herbs, and because Western physicians are becoming more interested in Chinese herbs, often for themselves and their families, as well as for their patients! Question: Jumping back again in time, when you were in China, did you have any particularly memorable or significant experiences as a student or a physician of TCM? Dr. Ma: Actually, yes. Two in particular; when I was doing a rotating residency in the C.C.U. (Cardiac Care Unit) while working on my Doctoral degree, a patient came in with an extremely severe heart attack, and the only thing that saved him was a combination of TCM and Western medicine. He needed the herbs that we put into his IV, as well as the Western medications, in order to survive the attack. Then, during his recovery, he had severe angina pectoris, and the typical Western medications, including nitroglycerin, did not alleviate his pain, so we used moxa on DU-9, which stopped his pain. It was quite impressive. Question: You said there were two memorable experiences. What was the other one? Dr. Ma: On another occasion, I was also really impressed, actually amazed, when a stroke patient who had been in a coma for quite a few days was revived by using mainly TCM medicine. Some Western medicines were used to relieve pressure on the brain, but we primarily used the “Open Orifice” category of herbs in his IV and in his nasogastric tube, and we used acupuncture as well. Then, after we had revived the patient with those techniques, we used other acupuncture points (scalp acupuncture and body points) to relieve the hemiplagia (partial paralysis) that was caused by the stroke. When you see with your own eyes how effective TCM can be in such extreme cases as these, you develop even more respect, even reverence, for what it can do. It’s very powerful. Question: Have these experiences with TCM changed you or your attitude toward life in any particular ways? Dr. Ma: Definitely. Ever since I became a medical student, and especially when I began seeing patients and the full potential of human suffering, I came to appreciate and value my own life more fully–everything about my life, and my own health in particular. I was, and I still am, extremely grateful for everything I have. That’s one change. Another change was realizing how very important it is to study hard and always to learn as much as I possibly can in order to help patients, and to relieve their suffering. I was already studying very hard, but these experiences made me realize how especially important it is for physicians to do just that. Question: Changing the subject a bit, we’re curious to know what you think of life in Los Angeles. Dr. Ma: I like L.A. I especially like being on the West side because I like the ocean a lot. The ocean is very calming, and it makes me realize how immense the Universe is, and that we should all appreciate what we have. I find it’s a very good place to relax and refresh myself. Question: What are your main interests and activities? Dr. Ma: I enjoy jogging very much–that’s one of my favorite activities. I was able to jog every day in China, but not as much here. I also enjoy bike riding. As to the arts, I like classical music very much, both Western and Eastern. I enjoy reading non-fiction books, articles and essays, and also novels. I also like classical Chinese poetry. Question: As a closing question, what special advice would you want to impart to TCM students? Dr. Ma: The first is to learn compassion. To be a health care provider, compassion is very important. We must care about our patients with deep sincerity and humility. Of course, knowledge and technique are also extremely important. Every student should take TCM very seriously and study hard. If you have the knowledge and technique, you can actually save a patient’s life in serious cases, so it can even be a matter of life and death. TCM is a very important and powerful tradition, and students here are fortunate to be learning it at a time when it is rapidly gaining more and more acceptance from conventional medicine. Thank you very much, Dr. Ma, for sharing your thoughts with us. Dr. Ma’s Interveiw on the book – I Have What??? How is your specialty involved in the care of patients with multiple myeloma, MGUS, amyloidosis, and Waldenstrom’s macroglobulinemia? Acupuncture can help regulate the immune system. Through promoting the movement of lymph and blood, acupuncture is helpful in treating the symptoms that arise from these cancerous malignancies. Acupuncture is very helpful as an adjunctive therapy. Patients undergoing chemotherapy or surgery heal faster and feel better with acupuncture. Acupuncture helps to reduce the side effects of these treatments without reducing their efficacy. Acupuncture is a one of the best modalities for the treatment of pain and neuropathy. It is highly recommended to try acupuncture as replacement for pain medications because acupuncture can help the body heal as it takes away the pain sensation. Also, many patients deal with anxiety and insomnia due to the challenges that they and their family must face. Acupuncture can significantly improve the quality of life of these patients and strengthen their mental and physical state. Along with acupuncture, herbal medicine offers many benefits. Chinese herbal medicine has been refined through thousands and thousands of years of observation and clinical practice. Our herbs are very safe and effective with time tested herbal combinations that can be tailored to each patient’s individual symptoms and constitution. While some people are concerned about the quality of the herbs, there are actually many herbal companies which exceed the highest standards for herbal supplements. Herbs can be extremely helpful for patients dealing with the side effects of chemotherapy, surgery and radiation. Certain herbs can really help with blood production. Some doctors have concerns about the interactions of western medicine and traditional herbs. However, I have seen how well they can work together. There is a lot of information available. We know which herbs shouldn’t be combined with certain western medications. Though they are both extremely important, there are times when herbal remedies are actually the better choice. For more chronic issues, herbs can be the better option because you can take them for longer periods of time without causing side effects. The combination of herbal medicine with acupuncture is a time tested medicine which provides so much relief and healing for patients. Why do patients have medical problems that specifically require your treatments? From the TCM perspective, disease is caused by physical and energetic imbalances within the body. Acupuncture is one of the few tools able to treat the physical and energetic aspects of disease. Also, acupuncture can promote emotional and psychological well being. This is of paramount importance for patients. According to Chinese Medicine, health is defined as a balanced physical, mental and energetic state. Acupuncture is one of the few treatments that can benefit all three of these aspects. How do you approach patients with these disorders? I approach each patient as an individual. I look at the patient’s health as a whole. I want to know how their digestion is and if they have a good appetite. I want to know how they are sleeping. I want to know about their emotional well being along with their physical symptoms. I will also use objective signs such as pulse analysis and tongue diagnosis to help make a treatment plan. I will factor in all of this when I make a diagnosis. The treatment would focus on relieving specific complaints while also promoting the patient’s overall health. Ultimately, my goal is to enhance the conventional treatment and reduce any side effects the patient might be dealing with. How do you work with the patient’s family and caregivers? Most of the time, I see patients at my office and so I don’t get a chance to see family and caregivers. However, if the patient wants them to come along, it can be very helpful to hear from people who live or work closely with the patient. What treatments do you provide for patients with these diseases? I provide acupuncture, herbal medicine and dietary recommendation. I also use cupping, manual therapy, meditation or moving meditation and infrared therapy if it’s appropriate for the patient. Is there anything that patients can do to reduce the risks of developing problems and improve their outcome? The most important thing is to relieve stress with good eating habits, moderate exercise, meditation, relaxation practices, and a good sleep schedule. Hard work and vigorous exercise should be postponed until after recovery. Spending time with loved ones and enjoying life will help the body heal. The exact food to eat depends on each person but eating unprocessed and organic foods is the best choice. Also, eating more cooked meals is better than raw meals. This helps aid digestion. Do you recommend any vitamins, supplements, diets, or avoidance of certain foods or activities? Sugary foods should be avoided as much as possible. Overly rich and greasy foods, such as fried foods and cheese, should also be cut out of the diet. Patients should immediately stop any illegal substances as well as alcohol and tobacco. If there is constipation, eating asparagus and other high fiber vegetables will help promote a bowel movement. Jujube can help promote new blood cell growth for patients dealing with anemia. There are many herbs that can help with the treatment process, but it depends on the individual. I would recommend seeing a licensed practitioner trained in herbal medicine. Are there any other ways that can you help these patients? Qi Gong is a very healthy practice. Similar to Tai Chi, but with more of a focus on promoting health, Qi Gong is an ancient medical exercise technique designed to promote circulation and calm the mind. I teach specific Qi Gong movements to my patients to help them overcome their illness. What advice do you have for these patients? Stay positive and upbeat. Try your best to laugh and enjoy yourself because this will help you overcome whatever challenge you are facing. As hard as it is, it is very important to put very demanding projects on hold until after you are feeling better. Do the things you enjoy while also making sure to not overstrain or tax your body. Eat well, get good rest, meditate and remain in a relaxed state of mind as much as possible. Being in nature is a very healing thing to do that people often forget about. Taking the time to walk in the park or take a light hike can be very beneficial. The body is very resilient and there are many things we can do to help the recovery process. How do you work with other healthcare professionals to optimize the care of these patients? Acupuncture and herbal medicine should always be combined with Western treatment protocols for these illnesses. I try to keep a dialogue with my fellow practitioners so they know what I’m doing and what my assessment of the patient is. I also greatly appreciate feedback and data from the patient’s other health care providers. Medicine works better when multiple treatment modalities are combined together. What one modality lacks another will be strong in and vice versa. I recommend that patients seek out help from multiple sources as long as they are well established medical disciplines.